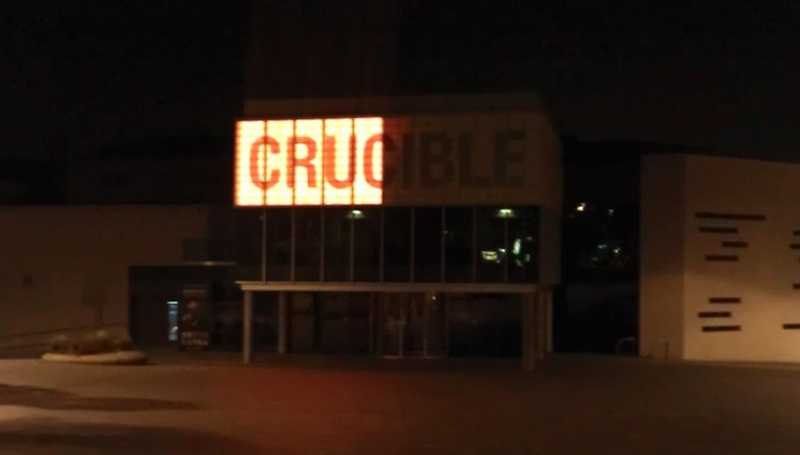 For some people, the biggest event in Sheffield’s social calendar starts this week, when the World Snooker Championship begins another year at the Crucible Theatre. For the rest of us though, there’s Tramlines. The first bands for this year’s festival have been announced and the list, as ever, includes tons of DiS-friendly acts such as Field Music, 65daysofstatic, Alt-J, Beth Jeans Houghton, Clock Opera, Esben And The Witch, Frankie Rose, Future Of The Left, Mazes, Peace, Rolo Tomassi and Toy, with shitloads more to come. To keep you busy in the meantime, the Sensoria music and film festival has announced one hell of a bill which features Laurie Anderson, Bill Drummond, a live headphones gig in Debenhams and plenty of excellent concerts and screenings for you to attend. And just in case you hadn’t heard, DiS is doing another roller disco at Skate Central on Saturday May 5th. It’s called Rolled School, it features Errors, Polinski, Ghosting Season, Novella and The Proper Ornaments, and if you went to the last ones you already know it will be factually the most fun night in the history of the world ever. To find out more, click here. As my esteemed predecessor pointed out around this time last year, The Crookes are probably the biggest success story Sheffield has had in some time. Okay, so their debut album Chasing After Ghosts didn’t land them on the cover of the NME or anything, but they still have European tours, radio airplay and high-profile endorsements from Richard Hawley and Steve Lamacq to show for their hard work. Their second album, due for release in early summer, could help them climb the next rung of the music industry’s ladder, and stompy new single ‘Afterglow’ is the sharp, scuzzy start of a whole new chapter (and sound) for the band. Remarkably, The Crookes are playing for free at The Harley on Tuesday May 1st. Best Friends are even catchier, and their cheerfully named new EP Throwing Up is an example of exactly how lo-fi guitar pop should sound. ‘Wasting Time’ is just about the most infectious song we’ve heard this year – seriously, its hook gets stuck in my head on a daily basis – and its shouty sing-along chorus is a worthy soundtrack to anyone’s summer. After that you can keep an eye out for Let The Man Speak, the debut album of angry post-punk from the awesome Wooderson. Dates have yet to be confirmed, but the sour first track from it, ‘Mint Condition’, went online a couple of weeks back and should whet your appetite. So we’ve already told you about Rolled School, but DiS always has more gigs on the horizon, and on Thursday May 31st we’ve got super-smart electronic duo Walls on at The Harley – not one to be missed. And don’t forget to come and see the stunning Perfume Genius at the Lantern Theatre on Monday May 7th – but only if you’ve already got tickets I’m afraid, as this one’s a sell-out. For all future gigs, visit us on Tumblr, Twitter and Facebook. Also in May, on the 12th, the party-starters at Death By Shoes are putting on an Our Band Could Be Your Life-themed gig, with an excellent selection of Sheffield bands paying tribute to some of the most significant acts of the 1980s American underground. So there’ll be Bhurgeist playing as Dinosaur Jr, Avida Dollars playing as Black Flag and, well, the list goes on. It takes place at Queens Social Club and you can find out more by clicking here. As for club nights, there's a couple of great new ones at Dada, the Thornbridge Brewery bar in Trippet Lane. The eclectic madness of (A) Touch Sensitive returns for second round on Friday April 27th, and the following night the folks from Pull Yourself Together launch a brand new indiepop/C86 disco - a mighty successor to the much-missed Offbeat in the making for sure. Andew Hirst used to play drums in experimental folk-rock combo The Purgatory Players. Now he’s in Fall Forwards, who seem to be carving out their own niche of breathy indie, neatly punctuated by the lightest of math touches. So far they only have three tracks up on Bandcamp, but needless to say we’re eager to hear more. Luke Twyman, meanwhile, is one of the many brains behind talented DIY collective The Audacious Art Experiment. Trans/Human is a collaboration between him and Adam Denton and their EP from last year, The 8 Hour Dance is an engrossing improvised blur of slurred distortion and ominous drums that’s well worth half an hour of your time. You can hear it on Bandcamp. Nai Harvest aren’t perhaps as highbrow – in fact they’re so unashamedly emo they should probably be considered a guilty pleasure. But you know what, we like their heartbroken melodies, hoarse hollering and dramatic stop-starts, so quit being a snob and visit their Bandcamp too. Email me at rob_cooke1@hotmail.com or find me on Tumblr and Twitter.